...though we use the term "Directory" very loosely. We often laugh that Go-Trippin "Ain't Your Grandma's Directory!" Because it's so very different than the typical directory that most Innkeepers today are accustomed to paying for. Go-Trippin has been designed to satisfy and maximize EVERY Google Guideline currently in place to support and improve your own Site's Placement. It also provides Innkeepers the added bonus of featuring in Google’s Niantic Labs Field Trip App. Currently this is something no one else in our Industry can provide. Online Authority, and that solution is Go-Trippin! If you are serious about Supporting and Improving your own Website placement, we invite you to watch the video below. 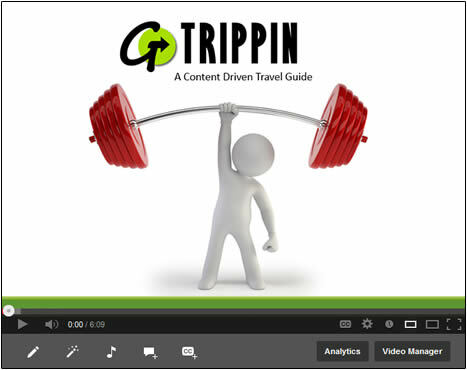 It's only 6 minutes long, and will explain the benefits of Go-Trippin in more detail. "I am truly excited for the B&B industry. And KUDOS to Acorn-IS for getting Google's [Niantic Labs] Field Trip to recognize your Go-Trippin application. I am truly impressed!﻿"
at this point. Thank you Lisa Kolb, you push us to do better!" Lisa and the great folks at Acorn have started. I'm Ready to Join Go-Trippin NOW! Please choose from a participating affiliate below. If you are not a patron of any of the affiliates listed below, you may register via the standard Rack Rate Pricing under the Acorn Internet Services "Enroll Now" link below. Please follow Go-Trippin's Social Media Channels to see if joining is for you!